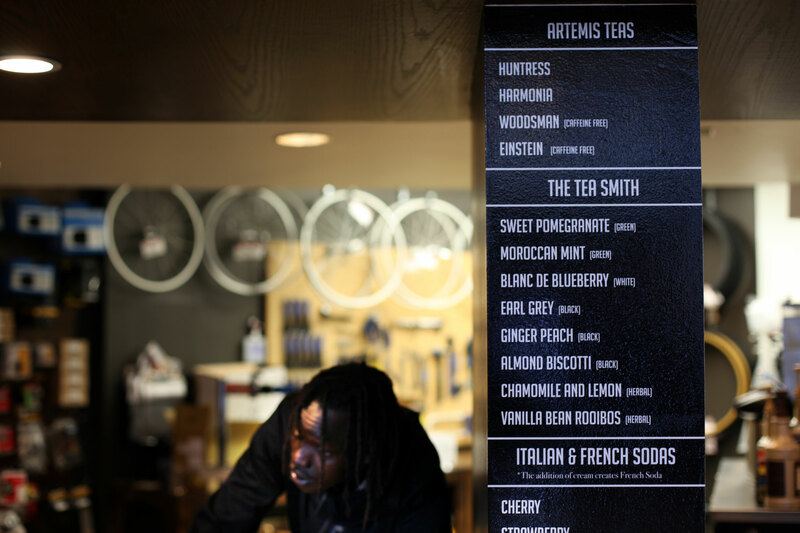 Full case study on how clearly telling this brand story through the experience increased ROI. For now, we’ll continue adding to this page as we help build their story. Where you purchase items, impacts the community. 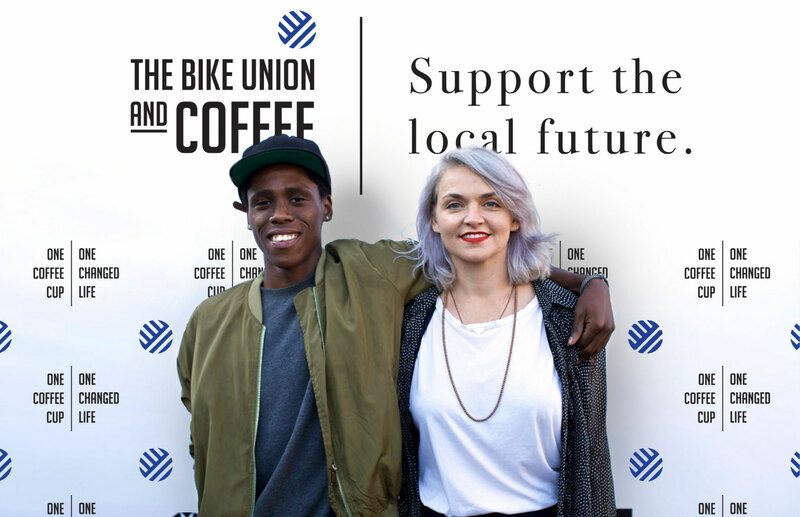 Here, each cup of coffee changes the trajectory of youth aging out of foster care. This is the anthem. Everyone talks about wanting to do this. Now, there is a clear path to do so. This is the introduction to the organization. 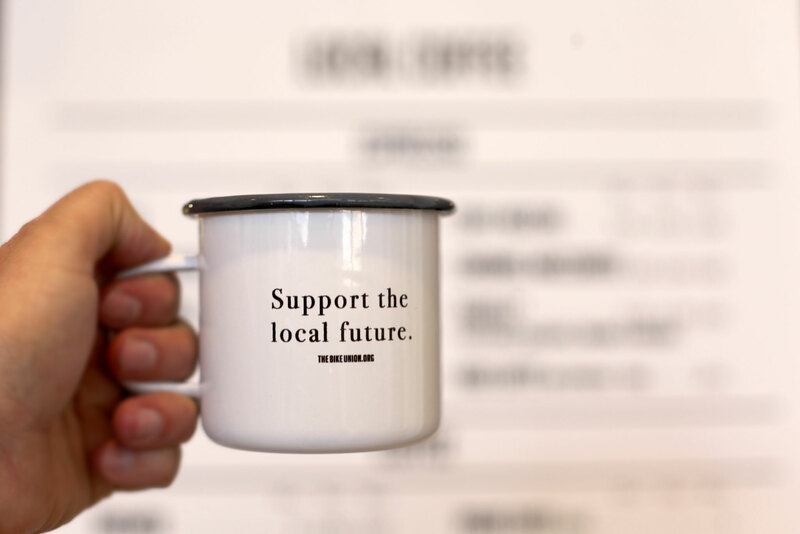 To make a difference, start with a cup of coffee. Make it a routine. Invite others. 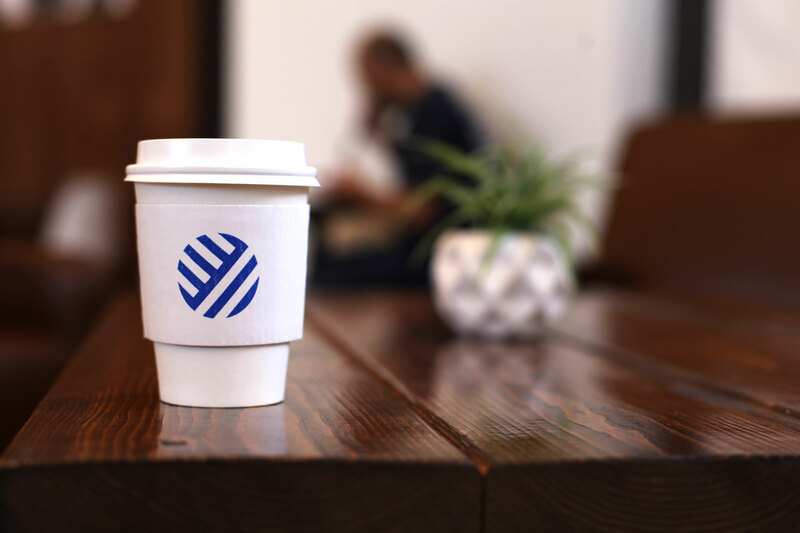 Bring coffee to meetings. Schedule meetings here. The way to get involved is with how you spend your money. It starts with the cup of coffee. 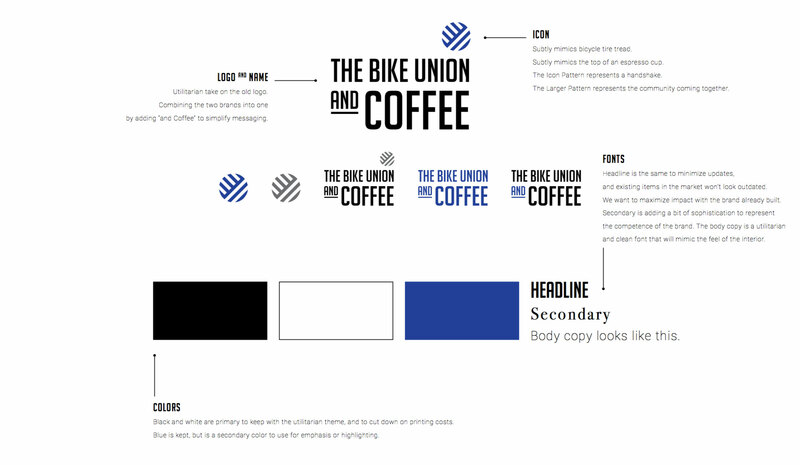 This is the structure on how The Bike Union and Coffee’s stories are told. The people working here are going through the Workforce Development and Mentorship Program. There is pride and empowerment in doing so. They are not victims. They are not statistics. They are a part of the community. They are the future. 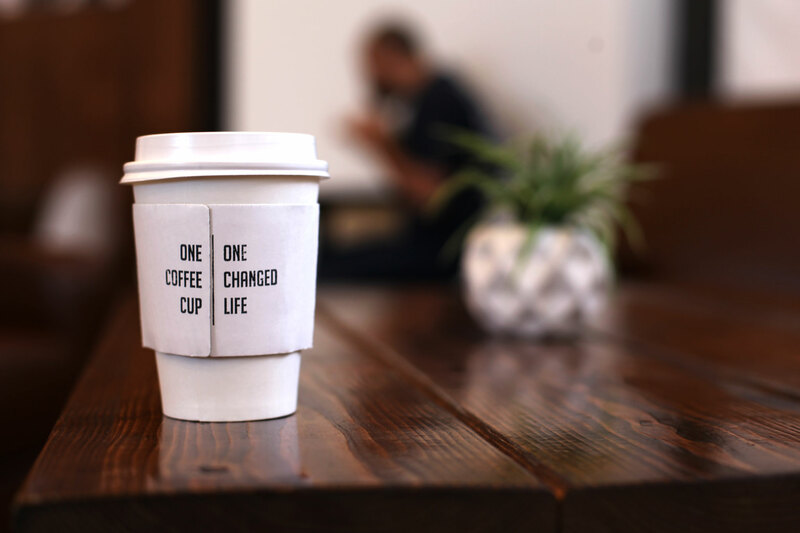 Updated coffee sleeves with the icon on front. Updated coffee sleeves with the anthem on back. 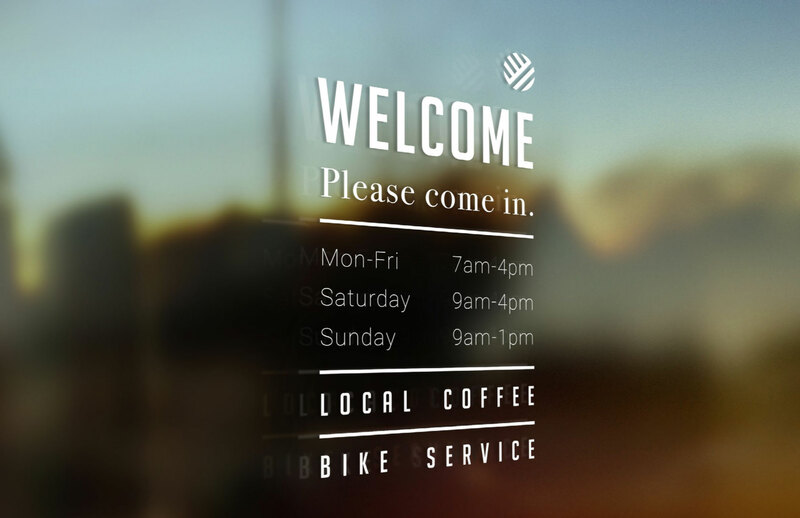 The updated signage showcases that this is clearly a coffee shop. 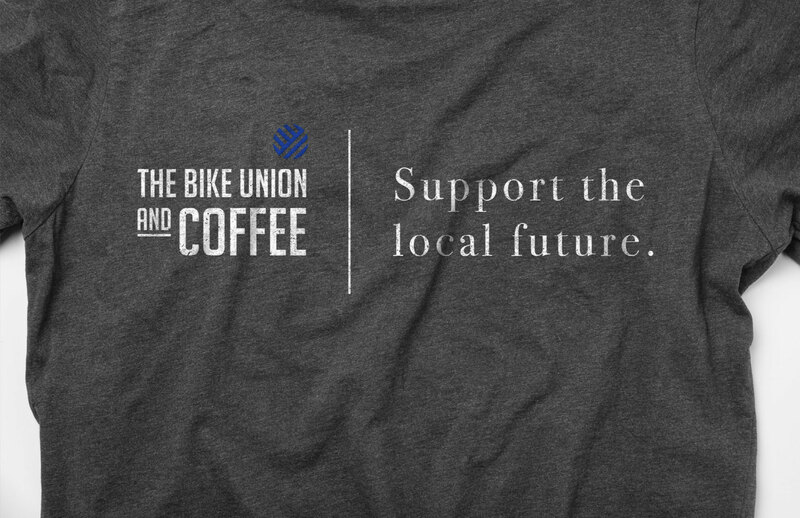 Coffee is perhaps the most universal way to bring community together. Updating the icon to blue, to bring a hint of color to the outside. We spent a lot of time studying behavior of people in this area. It was shocking how many people walked past this place to go 2 blocks to Starbucks. 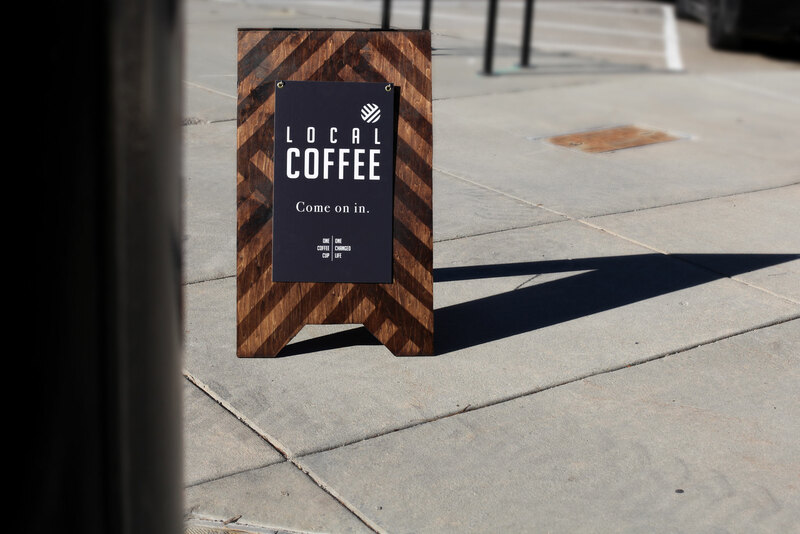 Along with the main signage, we wanted to make sure people felt welcomed to stop in here. 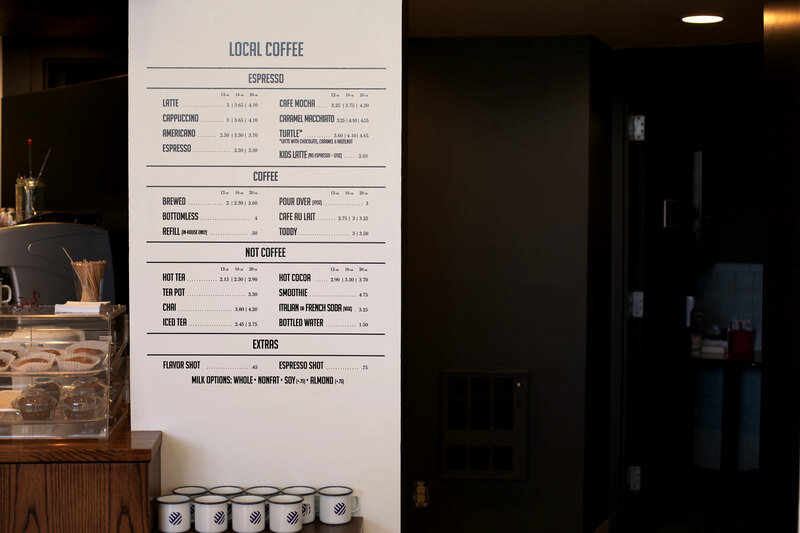 Not only is it great coffee, it’s also local coffee from Hardy Coffee Co. 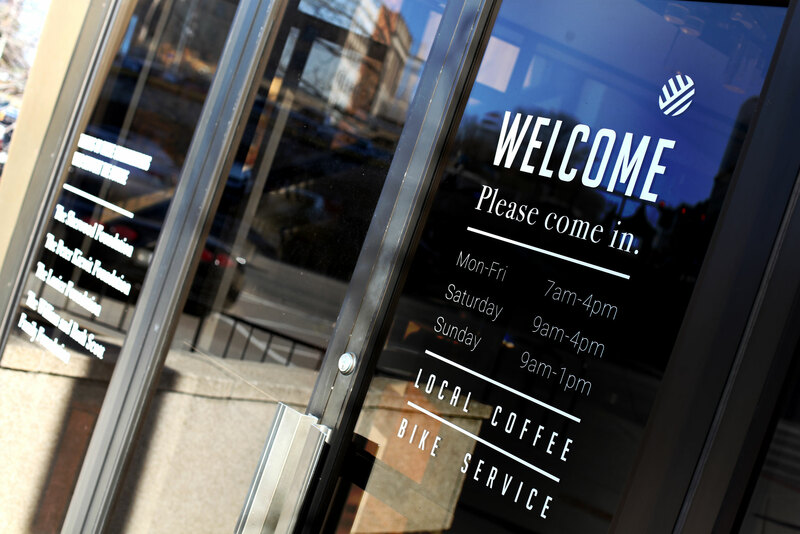 The windows are tinted, as this used to be a financial institution, so we wanted to ensure people that they are welcome to walk in. 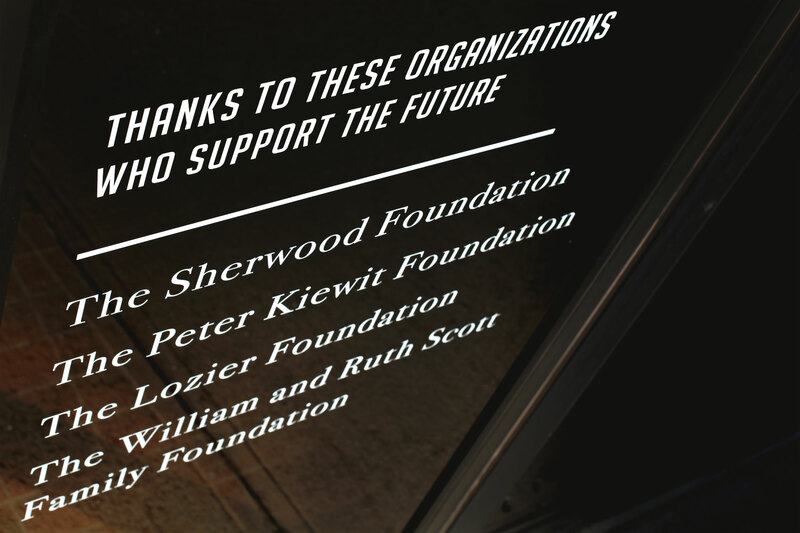 We wanted a way to thank some of the big supporters. 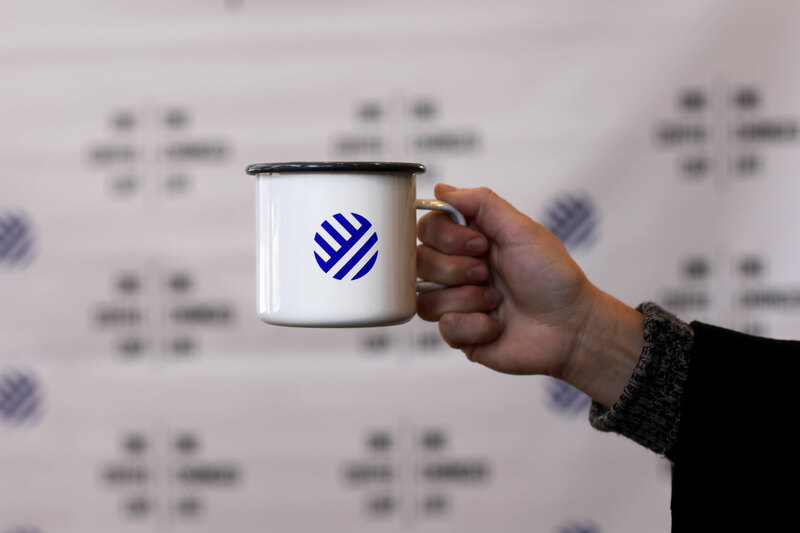 We wanted supporters (from donors to coffee drinkers) to pridefully showcase what they believe in. We wanted the employees to pridefully showcase who they are. 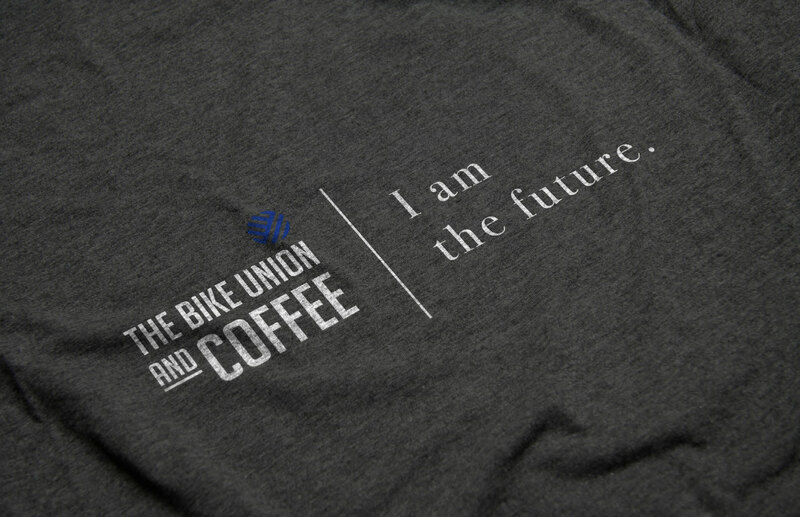 Supporters, employees, coffee enthusiasts, and bicyclists – a mug for us all. A study showed that after your 1st or 2nd visit, there’s a 20-30% chance you’ll return. After your 3rd visit, it’s a 70% chance you’ll return because it’s now a routine. We’re hoping to help that routine kick into place. Everyone talks about wanting to support good things with their dollars. 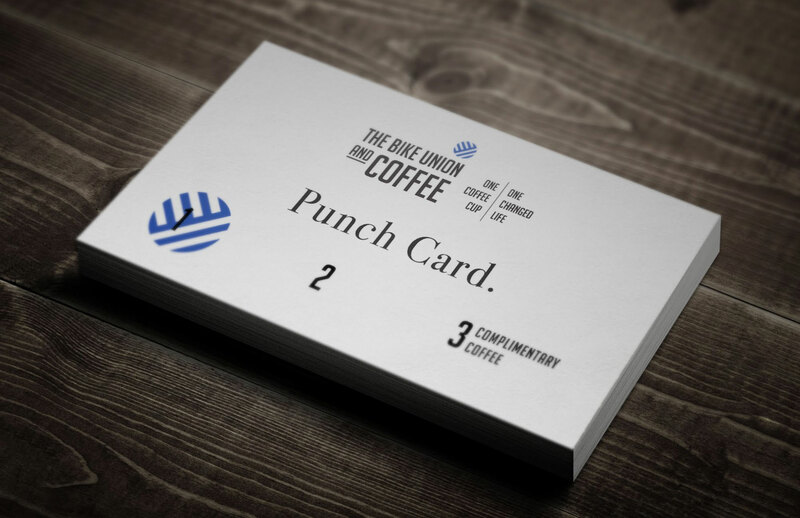 It doesn’t get much easier than where you purchase your coffee every day. 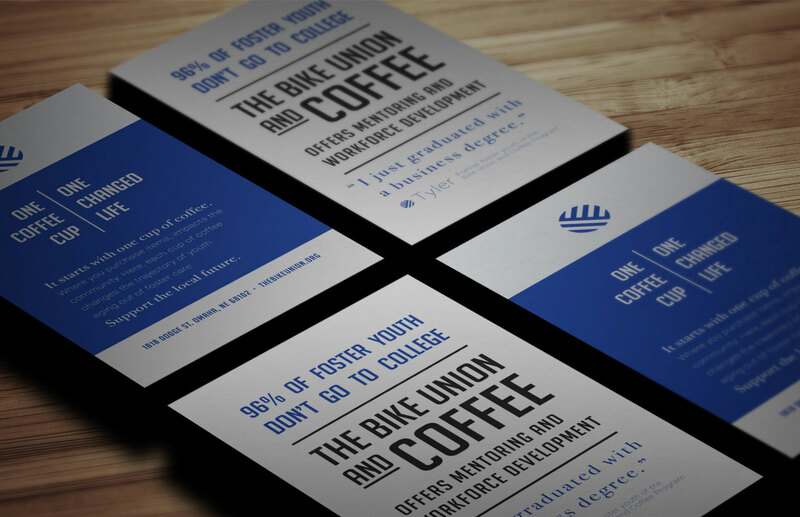 These postcards will also serve as table tents – to help clearly communicate what The Bike Union and Coffee is all about. Tea and Smoothie menu in the middle. Rebrand and Two Year Celebration to reconnect old supporters and create new ones.